The grasslands most valued for wildlife are generally rich in wild flowers and insect life, particularly butterflies. Unfortunately, such areas have been lost across Britain, due largely to the modernisation of agriculture. They have been agriculturally ‘improved’ – treated with chemical fertilisers, re-seeded with fast growing grasses, or ploughed up and replaced with arable crops. ‘Unimproved’ grasslands are those that have escaped this fate, and are the best for wildlife, although few and far between. Unimproved grasslands come in various types, depending on the underlying soils and the way they are managed. On acidic soils, ‘acid grassland’ has its own characteristic plants and grasses. Acid conditions can also give rise to heathland, a habitat of heather or gorse rather than grasses. Grasslands on chalky soils are particularly scarce. The same is true of ‘neutral grassland’, on soils of medium pH – this habitat has all but disappeared from the Stour Valley. The way grasslands are managed also affects their character. Grazing is often vital to maintaining their value, particularly on chalk downland. Without it, thorny scrub would quickly take over, as has happened at many sites. Meadows are, traditionally, cut for hay once or twice a year. 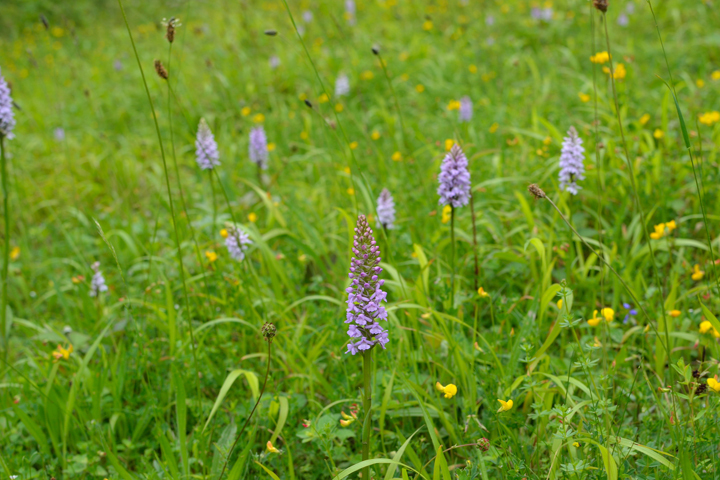 Some old meadows are extremely rich in wild flowers, but these are scarce. The most valued grasslands in the Stour Valley are on chalk soils. They are usually found on the steep slopes of the Kent Downs – the ridge of chalk hills that runs through the county. The main reason for their value is that they contain so many plants, including rare species such as the man orchid. This ‘diversity’ of plants, and the lightness and warmth of the grassland encourages an equally rich insect life including rare butterflies like the Adonis blue. Once widespread, chalk downland is now scarce and reduced to small scattered fragments. Its conservation is key in the Stour Valley. Most chalk downlands are protected. At Wye National Nature Reserve, this habitat is protected by international law. Other chalk downland sites include Broadham Down and Jumping Downs. Acidic soils give rise to a completely different range of plants to those found on chalky sites. Depending on how the land is managed a patchwork of acid grassland (dominated by grasses and featuring plants such as tormentil and lousewort) and heathland (dominated by heather or sometimes gorse) will arise. 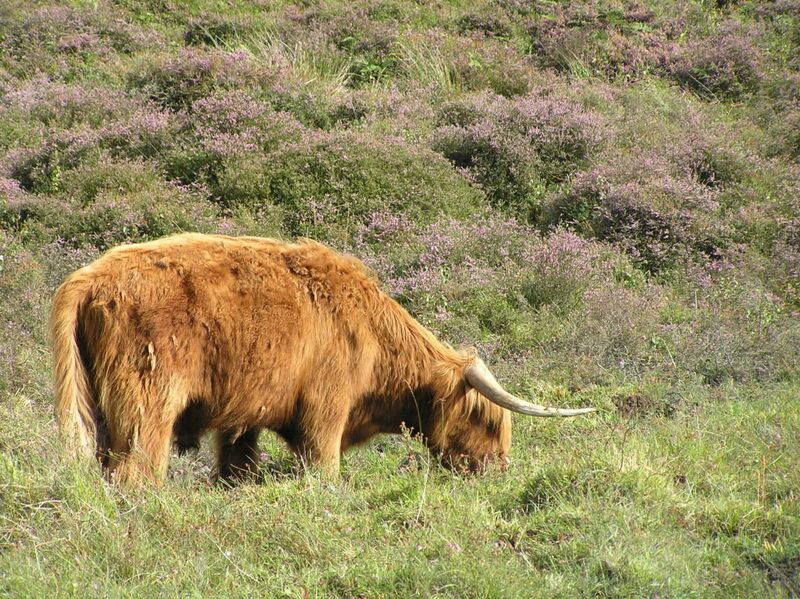 Grazing is important in managing both and, traditionally, burning was often used to manage heathland, removing over-mature heather and leading to a regeneration of the habitat. Heathland supports unique communities of birds and insects. In the Blean it supports one of Britain’s rarest butterflies – the heath fritillary. These habitats are no longer common in the Stour Valley but can be seen. Hothfield Heathlands is one of the most important areas of acid grassland and heathland in Kent, and is nationally protected. Large areas of acid grassland can be seen at Old Park near Cantebury. Very old acid grassland and large areas of bracken are characteristic of Hatch Park. Many areas of heathland can be found in clearings within the Blean Woods at sites like Clowes Wood and West Blean and Thornden Woods. 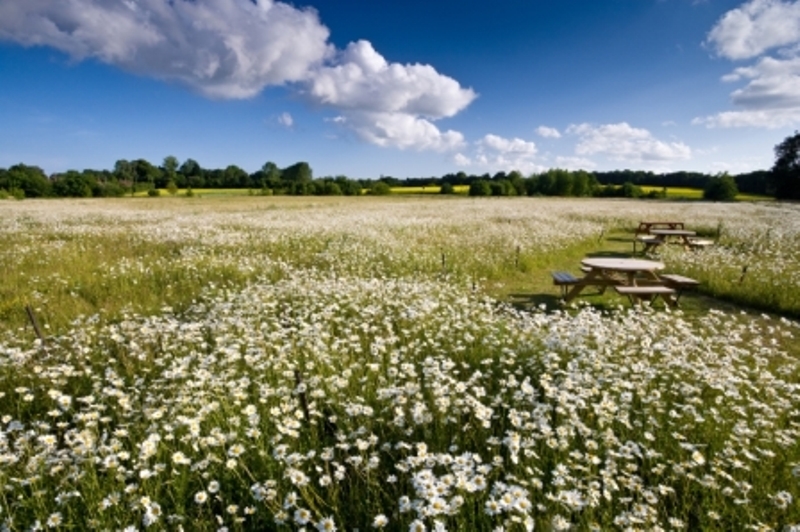 Meadows hold a special place in our idea of what the countryside should be like – what could be better than walking through a field of tall grass, full of wild flowers and butterflies on a summers day? 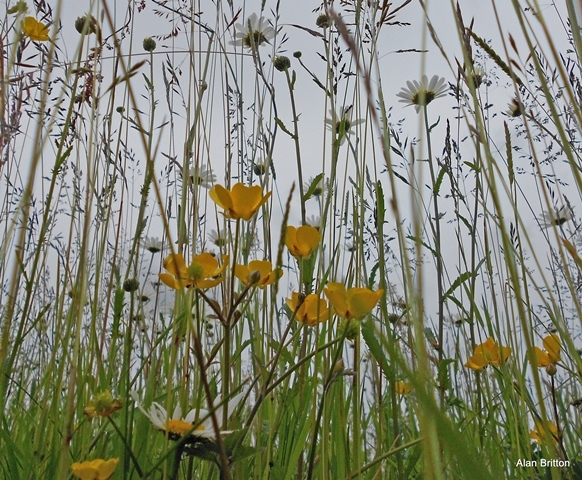 The reality is that meadows have disappeared from the countryside more than almost any other habitat. They used to be a common sight. Every parish had its own meadows because the hay was needed to feed livestock in the winter months. The switch to other methods of feeding animals in the modern era was one main factor in them starting to disappear. These traditional meadows were of different types. The most common in the Stour Valley were probably flood meadows – grassland next to the river designed to flood in winter, the process helping to fertilise and improve hay yield. Few of these meadows still exist; they are rare examples of neutral grassland where the soil is neither acidic nor alkaline. Meadows can also be found away from river floodplains. What makes a meadow a meadow is that the grass is left to grown then cut once or twice a year. There will often be grazing after the cut – animal dunging helps with fertilisation. 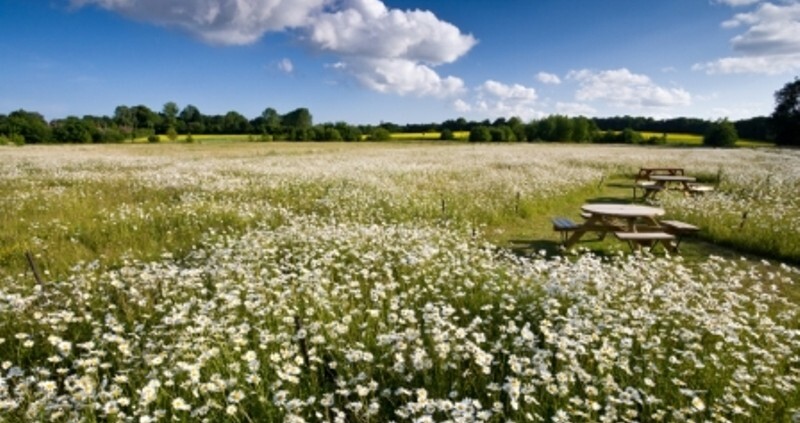 In the Stour Valley, there are riverside meadows at Buxford Meadow, Hambrook Marshes and Whitehall Meadows. An example of a meadow on higher ground can be seen at Tyler Hill Meadow – it is a nice example of neutral grassland. Because so many meadows have been lost, the KSCP have been actively creating them. Some of these new meadows are in urban settings, within the Ashford Green Corridor. The KSCP advises landowners on restoring and managing grasslands. Scrub clearance and the re-introduction of grazing or cutting are usually the most important steps to conserving their value.